I've also seen that in python you can apply roc function here. But I can't seem to be able to find the way to do the same in R interface. Currently I'm extracting predictions from the model using h2o.cross_validation_holdout_predictions and then use pROC package from R to plot the ROC. But I would like to be able to do it directly from the H2O model object, or, perhaps, a H2OModelMetrics object. 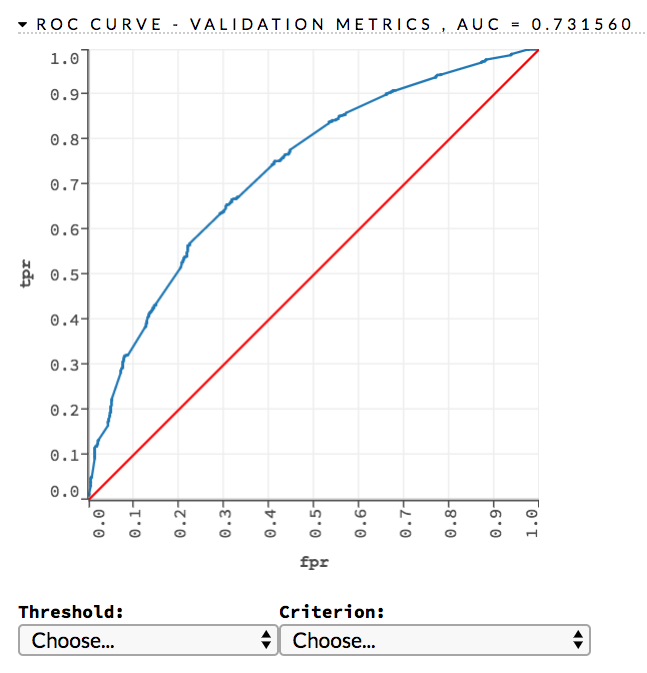 The reference to the ROC curve in the docs refers to the H2O Flow GUI, which will automatically plot a ROC curve for any binary classification model in your H2O cluster. All the other items in that list are in fact available directly in R and Python, however.